(The Huffington Post) - A Malaysia Airlines flight carrying 239 people lost contact with air traffic control early Saturday morning (local time). Flight MH370 is a B777-200 aircraft heading to Beijing, China from Kuala Lumpur, Malaysia. 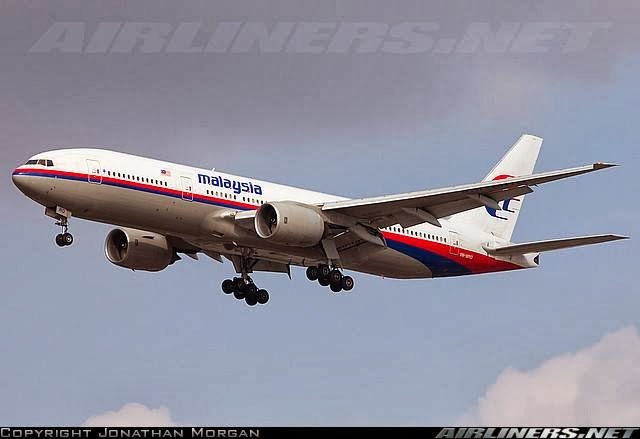 According to a press statement provided by Malaysia Airlines, the flight lost contact with Subang Air Traffic Control at 2:40 a.m. local time Saturday (6:40 p.m. GMT Friday). The flight departed Kuala Lumpur at 12:41 a.m. on Saturday (4:41 p.m. GMT Friday), and was carrying 227 passengers and 12 crew members. The passengers were comprised of 13 different nationalities, and 2 were infants. A Search and Rescue team has been activated, and the Malaysia Airlines team is calling next-of-kin. Malaysia Airlines provided the following number to contact for more information: +603 7884 1234. The Associated Press reports that communication with the plane was lost over Vietnam, according to China's state news agency Xinhua. Airport authorites posted a written notice asking relatives and friends of passengers to gather to a hotel about 30 minutes drive from the airport to wait for further information, and provided a shuttle bus service.